Hampshire Arable Systems is made up of a team of 6 agronomists. All members are fully BASIS and FACTS qualified. Find out more about our team below. 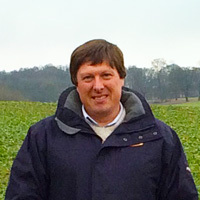 I joined Hampshire Arable Systems in 2005, after spending 3 years as a distributor agronomist with Hutchinsons, and currently provide all aspects of agronomic advice to over 40 clients in Hampshire, Wiltshire, Dorset and Surrey, covering over 20,000 acres. I graduated from Harper Adams in 2002, with a Degree in Crop Protection, and have recently achieved the BASIS Diploma in Agronomy. I have also been a member of the AICC since 2005. As well as providing an agronomy service, I have been involved in delivering advice through the Catchment Sensitive Farming Initiative, which involved Soil and Nutrient Management Plans, and Slurry Infrastructure guidance. Each year I also provide NRoSO training to over 150 spray operators. I have recently taken on the role of AICC Regional Coordinator for the South. Sarah joined HAS in September 2012 as a graduate from Harper Adams with a BSc (Hons) in Agriculture and Crop Management and has since become BASIS and FACTS qualified as well as passing the soil and water course as part of the BASIS diploma. 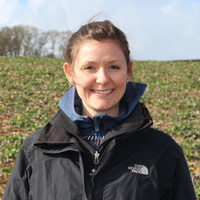 She has worked in field trials before joining the company and is a regular contributor to the “Arable Farming” magazine. Emma joined Hampshire Arable Systems as an agronomist in 1993 after embarking on her agronomy career with Bucks, Berks and Oxon Farmers. Since that time she has been working with farmers across Hampshire keeping them up to date with the ever changing agronomy advice. 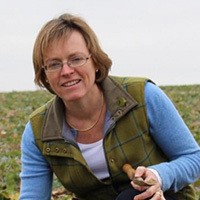 She provides technical advice on all aspects of crop management from a full agronomy service through to strategy management planning and telephone advice on all combinable and forage crops. Computer generated recommendations and detailed reports which includes N-Max calculations, nitrogen, p& k, cropping and drilling plans. Emma likes to consider all aspects of your arable enterprise and not just chemical recommendations. Emma is also a partner in Crop Advisors that is a specialist agricultural buying group focused on purchasing agrochemical, seed, fertiliser and precision farming. It is designed to support independent agronomists and their clients. Crop Advisors is a collaboration of 18 independent agronomists that run their own businesses but come together to share their technical expertise and to maximise their group purchasing to ensure their farms are receiving guaranteed volumes and the best negotiated price. 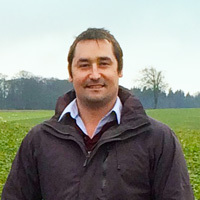 Howard graduated from Seale-Hayne Agricultural College with an HND in agriculture in 1999 and has since achieved qualifications in BASIS, FACTS, ICM and NMP. He provides computer recommendations for all agrochemical and fertiliser inputs along with drilling and nutrient management plans. Along with advice on conventional arable cropping Howard also provides agronomy advice on various forage crops, grassland and gamecover. 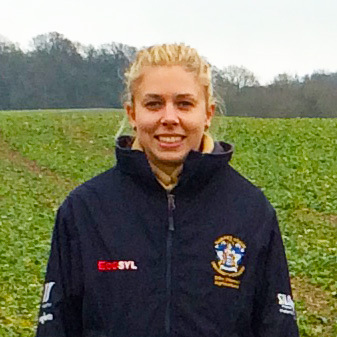 Grace works for Crop Advisors purchasing Seed and Agrochemicals but is also an agronomist field walking one day a week within the Hampshire Arable Systems business. She advises on farms predominantly growing combinable crops based in Surrey and Sussex. 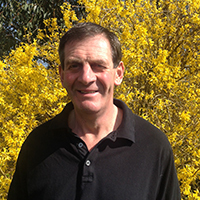 Julian passed his BASIS Certificate in Crop Protection and FACTS in 2000 and 2001 and has now achieved the BASIS Diploma in agronomy having passed the remaining 5 modules to further his knowledge. With his wife Jenny he has run Octopus Agronomy Training since 2002 which prepares new candidates for the BASIS Certificate in Crop Protection. The farming operation covers about 440 ha for 10 landowners on clay cap over chalk spoils close to the HAS / Crop Advisors office. 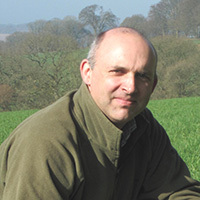 Julian has now been crop walking farms for HAS and Wessex Agronomy for 4 years and can offer a farmer’s viewpoint as well as agronomic opinion when planning crop management.